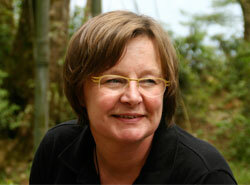 Dr. Rieki Crins is a cultural anthropologist and specialist of the Himalayan Kingdom of Bhutan. She obtained her PhD on Gender and Sustainability in Bhutan in 2008. Author of several articles and two books on Bhutan. Rieki has been working over the last 18 years in the travel-industry. She designs and guides high end cultural trips to Bhutan, Eastern Himalaya (Sikkim), Rajasthan and in the 90’s in Zimbabwe and Botswana. This experience has led her to create Bhutique Hotel Group BV, to combine her passion for true sustainability in the tourist sector, preservation of cultural heritage, eco friendly building practice, and creating jobs. Rieki founded the Learning Exchange Foundation in Amsterdam The Netherlands in 2009 with the aim of the foundation is to support the creation of the Bongde Institute of Hospitality and Tourism in Paro Bhutan. Robert Rubinstein A native of Brooklyn, New York, Robert Rubinstein is a longtime resident of TheNetherlands. In 1999, he founded a company to introduce the then-radical concept of sustainable investing.This concept became the foundation of TBLI Group – Triple Bottom Line Investing. From its early days, the aim of this small company was and is unabashedly global: To create an inclusive values based economy. The aim is to maximize investment flows into sustainability initiatives by showing the opportunities triple bottom line investing offers to investors. For more than 18 years, TBLI Group has built the ecosystem for the Impact Investing and ESG community through advisory, educational and networking services. Mr. Rubinstein is the Chairman and Founding Partner of TBLI Group Holdings B.V. with headquarters in The Netherlands. The Company was founded in 1998 with the mission of integrating ESG and TBLI into the culture and strategy of international corporate business and investment companies. Mr. Rubinstein has been instrumental in championing Sustainable and IMPACT investment dedicated to solving social issues. Rubinstein, lives in Amsterdam with his wife and two sons. Mr. Piero Grandi Founder of Grandi and Partners SA, Consulting and private Equity firm based in Verbier Switzerland, is a seasoned Executive and Entrepreneur and business angel with over 35 years of experience in International Banking, Corporate Turnarounds, Start-ups and Business Development of financial, industrial and service companies. A committed support of sustainable development, Piero assists companies and individuals in selecting and implementing their Impact Investments project. 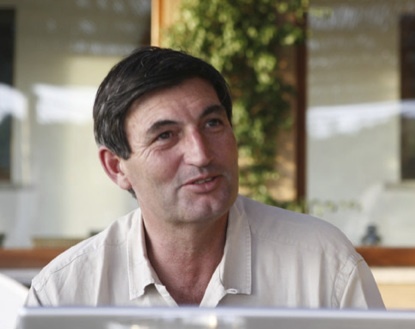 As an investor he personally participates to projects related to Biochar, in Europe, Africa and Asia. Piero has created the BLEF Bhutan Learning Exchange Foundation in Switzerland to support the creation of the Bongde Institute of Hospitality and Tourism in Paro Bhutan.